The beginning of 2018 was marked by the PROTEIN2FOOD 3rd annual meeting hosted by FRAUNHOFER-IVV in Freising, Germany from 28th February to 2nd March. The three-day meeting was an excellent opportunity for all the beneficiaries to once again exchange their most current research results with the whole consortium. The meeting included interesting flash-talks from the project partners, and presentations by the Work Package leaders, reflecting on the progress and project results reached so far. In addition, the project goals were assessed in relation strategies for maximizing impact in the remaining time left for PROTEIN2FOOD (concluding with a conference in Brussels early 2020). Several of the partners could present new products at the meeting; plant-based milk substitutes – such as delicious yoghurts and ice-creams, tasty meat-like spreads and a plant-protein burger. These innovative products are a strong testament to the successful collaboration of PROTEIN2FOOD. We are looking forward to developing further tasty and sustainable food proto-types while continuously optimizing the steps of production and processing. This year’s stakeholder meeting included both old and new members of the PROTEIN2FOOD stakeholder forum and revolved around the topic Plant protein markets and EU policy towards FOOD2030. Three external speakers delivered presentations on market potential of plant protein foods, consumerism and EU policy, while a back-casting workshop explored milestones and needed actions for boosting plant protein production and consumption. Finally, a panel discussion concluded a meeting filled with important remarks for gaining new perspectives on consumer preferences and market potential in Europe. We look forward to the two final years of the project and the continued engagement with our stakeholders in a mission to develop sustainable, pioneering plant-protein foods for future generations. Plant-based alternatives for milk products are growing in popularity as consumers increasingly replace cow’s milk in their diet for health or lifestyle reasons. PROTEIN2FOOD partner University College Cork examined 17 milk substitutes, based on different cereals, nuts or legumes, and compared them to cow’s milk. They were interested in both, their nutritional quality – such as protein content or the effect on blood glucose levels (glycaemic index) – and their technological properties – such as stability of the mixture of fat and water components. The protein content was determined in two steps. First, researchers analysed total nitrogen content – a main component of proteins. Subsequently, they translated this to protein content1. Half of the samples had low or no protein (less than 0.5%). Only samples based on soya contained as much protein as cow’s milk (3.7%). The glycaemic index (GI) was not tested in humans but predicted with an in vitro method using test tubes in a lab2.This test revealed that the samples’ effect on blood glucose levels may vary widely. 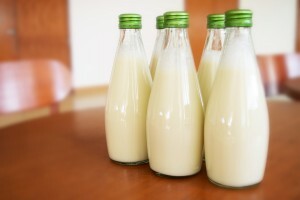 Cow’s milk showed the lowest glycaemic index (GI=47). Rice-based samples appeared to have similar glycaemic properties as glucose (GI up to 100). Almond milk substitutes, for instance, were ranked in between (GI=64). A low effect on blood glucose levels may be a beneficial physiological effect for health3. Moreover, researchers explored the products’ stability by phase separation analysis using a centrifuge. This test examined how quickly fat and water components were separated from each other. This process is also called creaming. Plant-based milk substitutes were more unstable and had a greater tendency to separate than cow’s milk. Samples based on soya or almond, for example, showed separation rates up to 10%/h. Some rice-based samples exhibited of more than 50%/h. In comparison, the cow’s milk separation rate just amounted to 4%/h. The higher destabilisation rates are more likely to need additional ingredients, such as additives to ensure the products’ quality. This study revealed that the properties of plant-based milk substitutes can vary widely depending on the plant source, further ingredients or processing. However, since the demand for dairy products is likely to almost double by 2050 it is important to consider plant-based protein alternatives to bovine milk in terms of sustainability4. Manufacturers can improve those by choosing adequate raw materials and tailored processing technologies. Additionally, further research is needed to provide new plant-based milk alternatives with good nutritional values as well as sensory and technological properties. PROTEIN2FOOD plays an important role in developing novel techniques to produce healthy, sustainable and tasty food prototypes. 1 WHO/FAO (2003). Food energy – methods of analysis and conversion. Rome, Italy: FAO. 2 Magaletta RL & DiCataldo SN (2009). In vitro method for the determination of the glycemic index. U.S. Pat. 2009/0004642 A1. 3 EFSA (2011). Scientific Opinion on the substantiation of a health claim related to “slowly digestible starch in starch-containing foods” and “reduction of post-prandial glycaemic responses” pursuant to Article 13(5) of Regulation (EC) No 1924/20061. Parma, Italy: EFSA. 4 Boland MJ, et al. (2013). The future supply of animal-derived protein for human consumption. Trends in Food Science & Technology 29(1): 62-73. 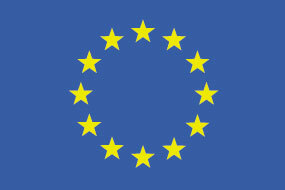 The European Commission has highlighted the importance of PROTEIN2FOOD’s contribution to a more sustainable world. Since the production of meat and dairy consumes a significant amount of energy and accounts for almost 15 % of all man-made greenhouse gas emissions, the project’s development of new products from high-quality protein-rich crops is crucial. 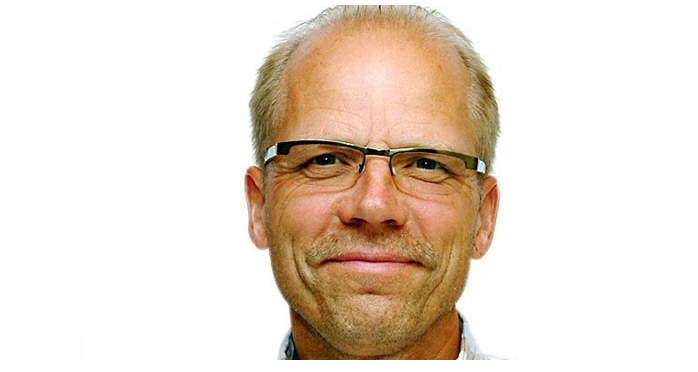 Raymond Gemen from the European Food Information Council (EUFIC), PROTEIN2FOOD’s communication partner added: “if we eat less meat overall, that’s the way to go: make the population a little more vegetarian rather than trying to radically convert people”. The article outlines different angles of the current state of science and the project’s activities towards the objective of encouraging more people to choose plant-based alternatives. 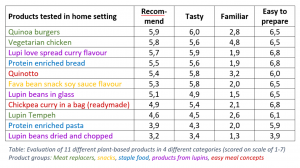 In total, 28 meat reducers tested products from the following groups: meat replacers, new snacks with plant protein, replacement or enrichment of staple food, new sources of plant protein from lupine bean and new easy meal concepts (see table). They received the foods and an instruction booklet with recipe suggestions to test at home. After three weeks, participants reported their feedback through a two-piece questionnaire. First, participants scored on a scale from 1 to 7 on tastefulness, familiarity, easiness of preparation and recommendation to friends and family (see table). 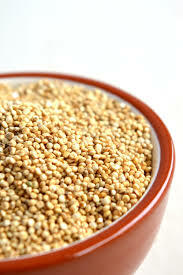 The quinoa burger as well as lupin spread were considered as the tastiest products. The most familiar products were the ‘vegetarian’ chicken and the Quinotto. The Lupi Love spread (vegetarian spread made from lupins), protein enriched bread as well as the ready-made chickpea curry in a bag were judged as the products that are the easiest to prepare. In each category, the dried and chopped lupins scored the lowest. Second, participants discussed in groups about the following question: “What did you like about the product and what did you not like about the product?”. Since participants liked to replace meat, products such as quinoa burger or ‘vegetarian’ chicken were popular. However, meat imitation foods needed to be equally tasty as well as equally priced or cheaper. Within the group replacers not similar to meat were regarded as more sustainable. Snacks and bites were only popular when low in sugar. For instance, participants considered the savoury bean snack with soy sauce flavour as a “filling, healthy and easy snack”. The protein-rich staple foods were appreciated because of its easy preparation, but also revealed negative connotations like being more expensive, “overly processed” and less sustainable. The lupin beans in glass or dried and chopped were considered novel and yielded mixed reactions because participants struggled to pair it with other flavours. The participants preferred lupines as a processed, spiced and recognisable product such as the Lupi Love spread. Overall, this investigation revealed that meat reducers are interested in new products and new technologies if the food is palatable, easy to prepare and has some clear advantages on health and environment. It underlines the importance of PROTEIN2FOOD’s work on developing novel protein ingredients and food prototypes to meet consumers’ demands.